Here’s one of my go-to weeknight meals that is easy, quick, inexpensive and really delicious to serve up. 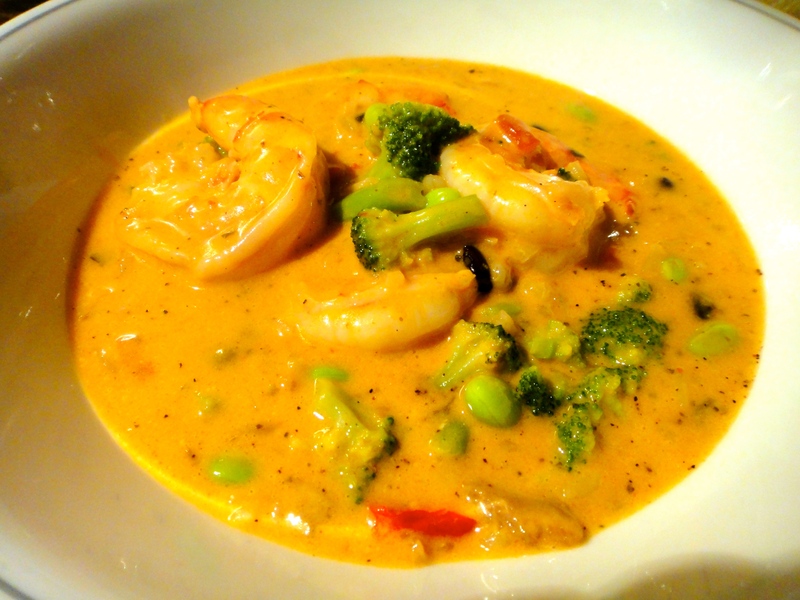 Spicy Shrimp & Chicken Coconut Soup. Serves 2 to 4. 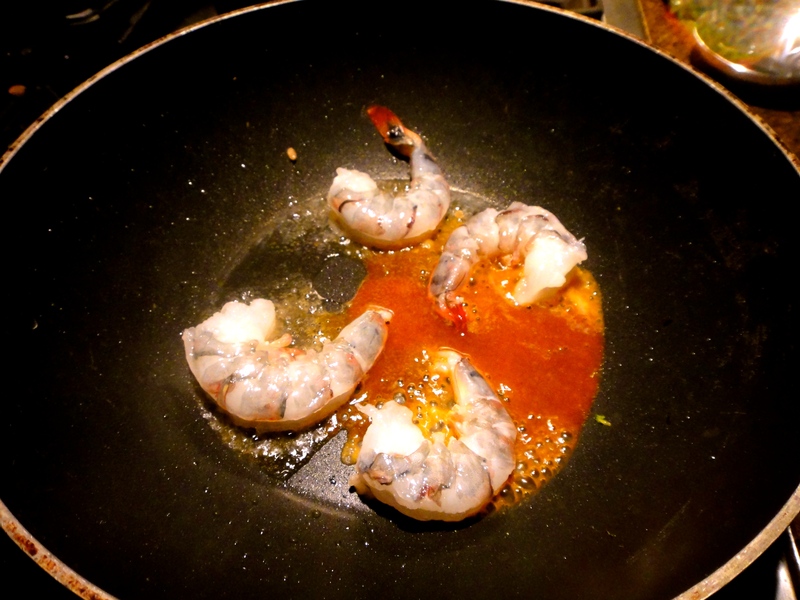 The main ingedients are very simple; a can of Thai soup, frozen veggies, shrimp (or any other type of meat/fish)… that’s really it! Start with your two main ingredients: frozen Asian mixed vegetables and Creamy Thai Soup. 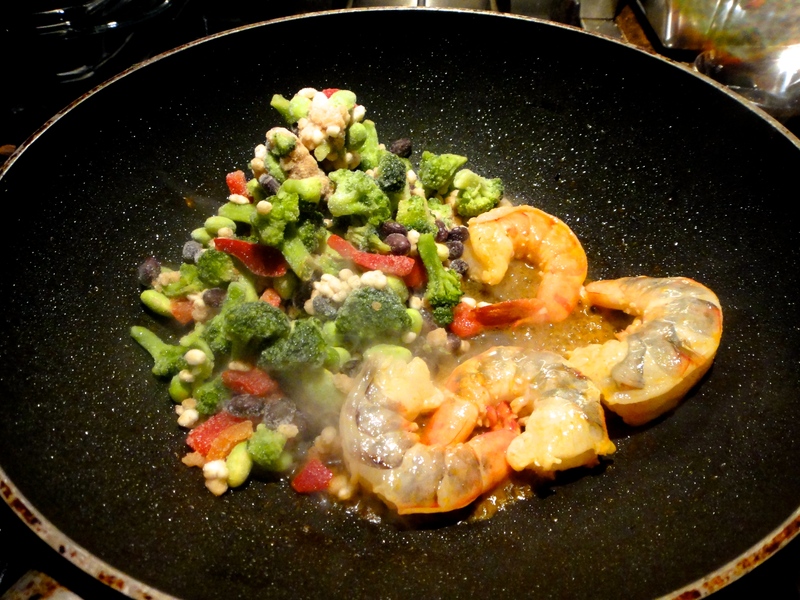 Add 1/2 bag of frozen veggie mix and stir fry on high heat until shrimps are pink and veggies slightly soften. This will take about 4 minutes. 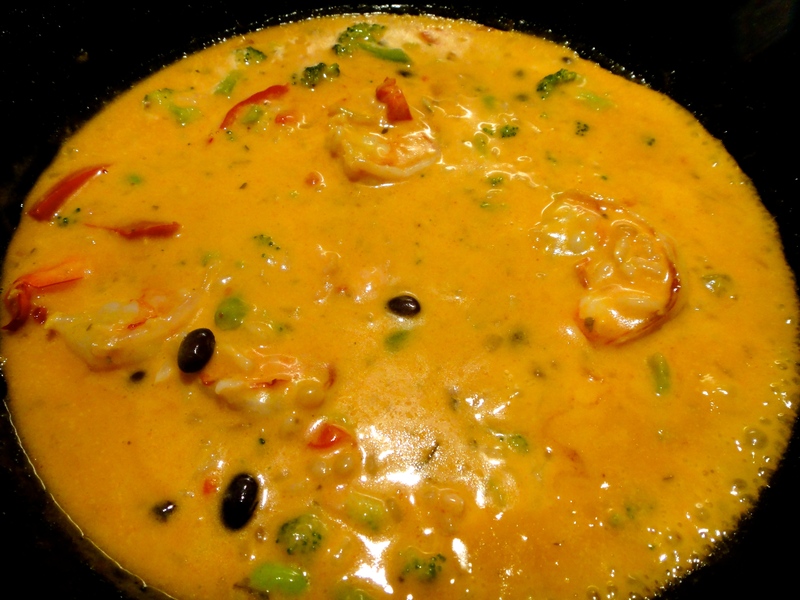 Add a full can of Creamy Thai Soup and bring to a hard boil for 1 minute (this will ensure the shrimp is cooked), then simmer for 5-7 minutes. This takes 8 minutes. 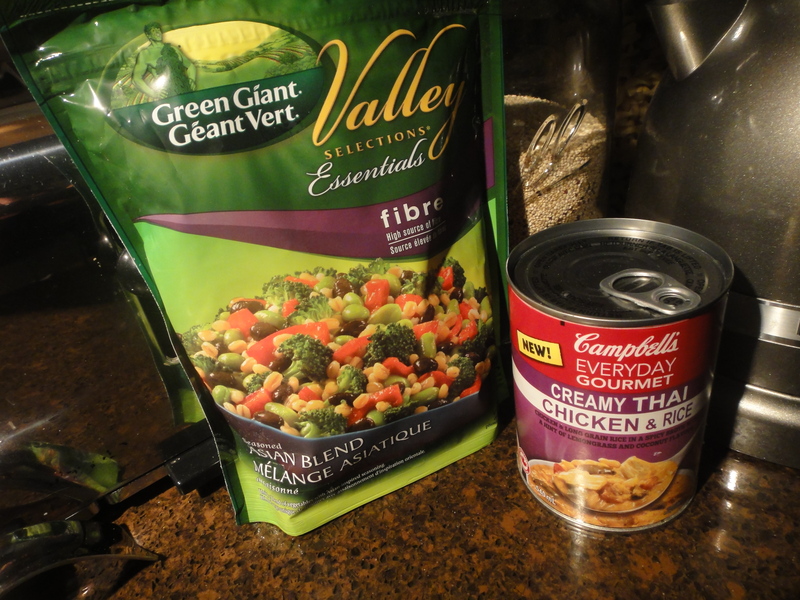 And in less than 15 minutes (and for less than $10) you have a fabulous meal! Serve as soup in a bowl (serves 2) or, serve over rice or crispy noodles (serves 4)… enjoy! Christmas in November @ Fairmont Jasper Park Lodge!